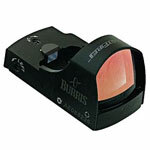 The small and light Burris FastFire sights can be used as primary sights, or placed on top of existing optics or laser. They lend a bright red dot for easy aiming and rapid acquisition of the target. 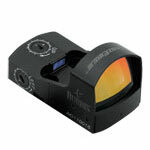 Features consist of exceptionally strong electronics and chassis to withstand abuse of competition and hunting; compact design to maintain firearm balance; 1x magnification for both-eyes-open shooting; parallax-free for better accuracy; windage and elevation adjustments to make fine-tuning hassle-free; superior quality optical glass for brightness and clarity; index-matched Hi-Lume multicoating for low-light performance and glare elimination; nitrogen-filled body tubes; and a waterproof and shockproof design. 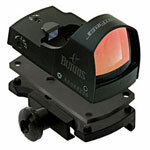 Burris Fast Fire sights mounts to handguns, rifles, and shotguns, and come under Burris Forever Warranty. 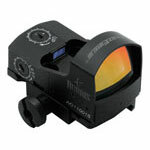 Choose from the following lineup of Burris FastFire sights on sale at Scopelist and Shop Now!